Join us at the Little Niangua Mountain Man Spring Rendezvous & Festival on April 12-15, 2019 at the Little Niangua Campground in Roach, Missouri. 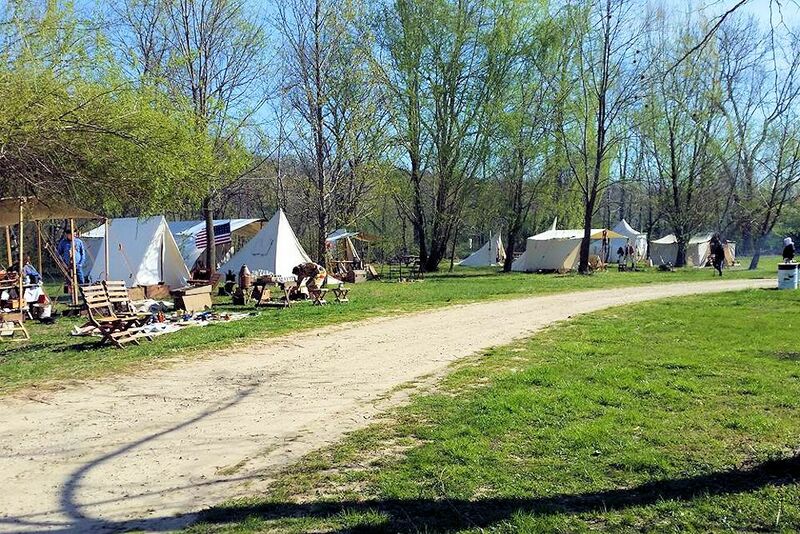 Join the Mountain men and traders as they capture the pre 1840x days, dressing in their 19th century attire and living in genuine tee-pees and canvas tents during the Niangua Mountain Man Spring Rendezvous. Experience a segment of living American history at its very best as these mountain men compete in black powder shoots, tomahawk and knife throwing contests, fire starting and tall tale telling. The Little Niangua Mountain Man Spring Rendezvous offers the chance to shop Trader’s Row for unique hand-crafted gifts, folk art and artifacts from the past. There is always an array of artisans, story tellers, gunsmiths, re-enactors and blacksmiths to guide you through a journey back in time. You will experience the sights and sounds of a real frontier rendezvous, the smell of campfires and the enchantment of walking in the footsteps of early pioneers. 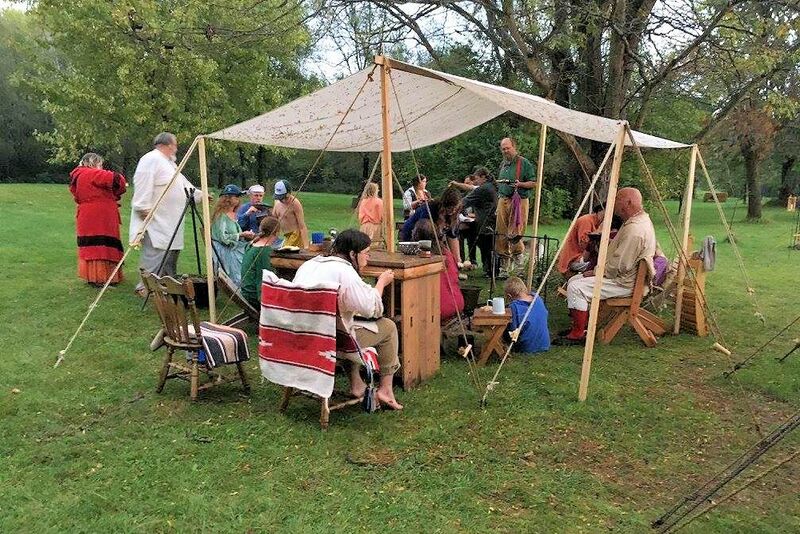 The goal of the Little Niangua Mountain Man Spring Rendezvous is to provide a quality living history experience. Primitive Crafts and skills demonstrations are welcome. On Friday, elementary schools are welcome to bring classes. A lifetime of history is captured in this three day event! Early setup may begin 8am Wednesday. Vehicles allowed in camp only for off-loading & loading. Schools and Visitors are Welcome! One shooter allowed with paid camp fee. Walk-on shooters $10. Aggregate shoot, hawk and knife, and fire starting contests. Open sights only. No optics or any devices attached to glasses. No in-line actions. Round ball only and no rifles over .62 cal. No re-entry. Separate Ladies and junior matches. Primitive dress encouraged, but not required. Shooting time will be Saturday: 9am – 2pm; Sunday: 9am – 11am. Prizes will be awarded on Sunday at 1pm. Prizes will be awarded Sunday at 12:00 pm. Primitive Camp fee is $20.00, firewood, water, and modern bath facilities are provided. Primitive and Modern Camps will be separate. Pre-1840 accommodation and attire are required for the primitive camping and trader’s row. A traders committee will monitor authenticity and appropriateness of trade goods. Modern Tent & RV Camping is available nearby. Fee Includes 2 adults and 2 children 11 and under. Vehicles will be allowed to park in the Modern Camping area if they are registered campers, and only in their designated spot. Traders Fee is $20.00 + plus a donated prize; fee includes camp fee and will be reinvested with the traders for prizes awarded. Camping and Traders Fee’s include 1 shooter per camp. The Little Niangua Campground reserves the right to deny any request for vendor/trader space at the Mountain man Festival, if request is denied, all fees will be returned. Mark your calendar today so you don’t miss the next Little Niangua Mountain Man Spring Rendezvous & Festival at the Little Niangua Campground in Roach, MO.